The Prohibitory Act 1775 was passed as a measure of retaliation by Great Britain against the general rebellion then going on in her American colonies, which became known as the American Revolutionary War (or, to the British, the American War of Independence). It declared and provided for a naval blockade against American ports. 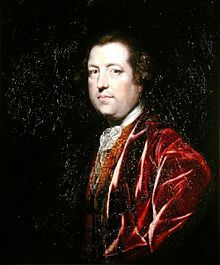 In late 1775, the Parliament of Great Britain, under Lord North, First Lord of the Treasury, decided that sterner measures would be taken to subdue the rebellion now underway in the 13 American colonies. To this end, they decreed a blockade against the trade of the American colonists by passing the Prohibitory Act. “All manner of trade and commerce” would be prohibited, and any ship that was found trading “shall be forfeited to his Majesty, as if the same were the ships and effects of open enemies.” The goal of the Act was to destroy the American economy by making it incapable of operating by means of prohibiting trade with any country. “It throws thirteen colonies out of the royal protection, levels all distinctions, and makes us independent in spite of our supplications and entreaties… It may be fortunate that the act of independency should come from the British Parliament rather than the American Congress.” —John Adams The general reaction of the colonists, or at least among Patriots, was an affirmed desire to fight back against the oppression of the British. Like Patrick Henry said, “Give me liberty or give me death!” The American people were only more united in their struggle. 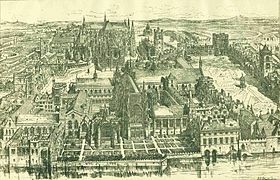 The Prohibitory Act served as an effective declaration of war by Great Britain; a blockade (as opposed to a quarantine) being an act of war under the law of nations. The colonies and Congress immediately reacted by issuing letters of marque that authorized individual American ship owners to seize British ships in a practice known as privateering; further, the act moved the American colonists more towards the option of complete independence, as the King was now declaring his “subjects” out of his protection, and levying war against them without regards to distinction as to their ultimate loyalty or their petitions for the redress of grievances. With the contemporaneous importation by the British of bands of foreign auxiliaries into the American colonies to suppress the rebellion by sack, pillage, fire, and the sword (the infamous Hessians), and the stirring up of hostile bands of Native Americans on the frontier by the King’s men to raid the colonists, it became clear, even “self-evident” to the colonists that they would neither find liberty nor security under the King’s protection, and thus, they exercised certain inalienable rights, and a rebellion turned into a war of national independence.